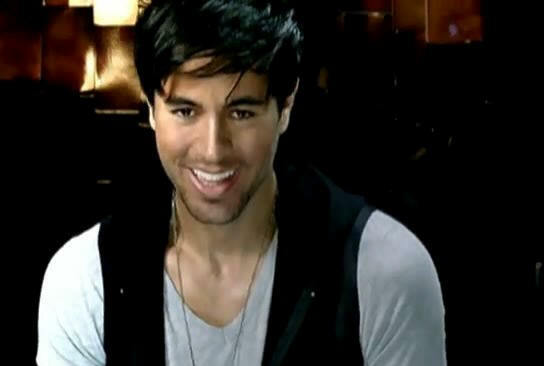 PopEntertainment.com: Enrique Iglesias interview about the 'Euphoria' Tour. Copyright �2011 PopEntertainment.com. All rights reserved. Posted: September 16, 2011. 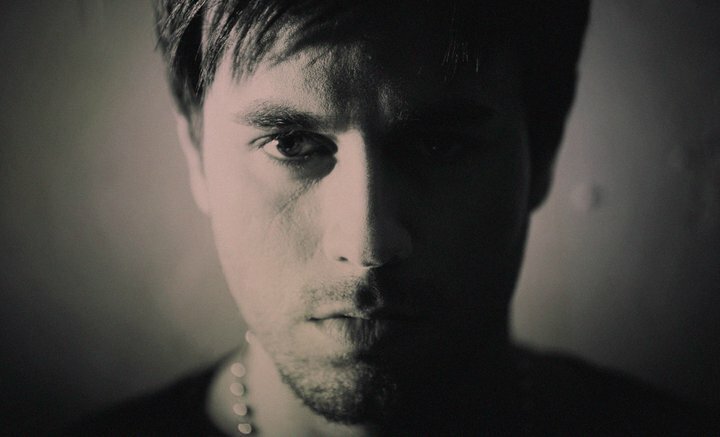 Enrique Iglesias is back on the road and he�s determined that tonight he�s gonna move you. 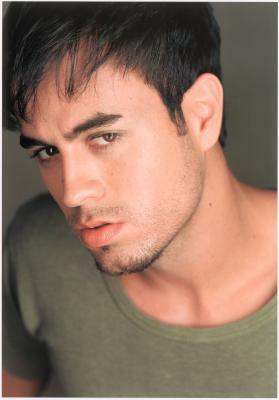 We were recently one of several outlets who were invited to talk with Iglesias about his upcoming leg of the Euphoria tour, which stops at the Wells Fargo Center in Philadelphia on September 23. What are you looking forward to most when you hit the road for your upcoming tour? I love being on the road. For me that�s the most fun part of my job. Actually, it doesn�t feel like a job. When it comes to the promotion, that�s a different story: the waking up early, doing all the interviews. But when it comes down to touring, I try to keep my schedule as free as possible in the morning, so at least I can rest up and try to put on the best show possible. But that�s the part of my job that doesn�t really feel like a job � that I love doing. What can you tell us about the production aspects of this tour? We�re actually finalizing it now. It�s going to be very similar to [earlier shows on the tour]. It�s part of the Euphoria tour, but I�m going to alter a few things and change up a few little things. I�m still actually in the process of doing that right now as we speak, but it should be good. Visually, I think this tour has been one of my favorites. What was your most memorable experience from any of your recent tours? For some reason, the UK was very special to me this time around. It felt like one of the best tours that I�ve ever done there, in the UK. Also, there was one show in the US that for me was very, very special which was Madison Square Garden. The crowd was so good. It felt like� I played it before a bunch of times, but this one to me was the most special out of all the times I�ve done Madison Square Garden. You�re touring with fellow Miami artist Pitbull. What is it going to be like to play your hometown in Miami? It should be great. It�s always a little more nerve-racking when you play your hometown. You know so many people, so you just get a little more nervous. It�s a little bit like playing Madrid, Spain � where I was born. It feels the same way. You�re also going nuts because everybody is asking you for tickets (laughs) and it�s crazy and chaotic and you�re trying to just satisfy everyone, but I�m sure it�s going to be a lot of fun. I played the American Airlines Arena a bunch of times. This time having Prince Royce and Pitbull opening up the show it should be a great experience � especially Pitbull being from Miami and myself also growing up in Miami. 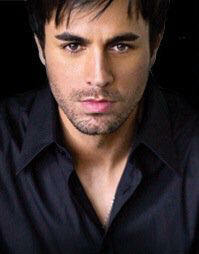 What do you do in your spare time on the road and do you plan to have any special guests this tour aside from Pitbull? There should be. I should have a few surprises in the show, hopefully. Obviously, it comes down also to the scheduling of the other artists � but we should. We don�t exactly [know] what cities, but definitely there should be a few surprises. What I like to do, I just like to take it easy the whole day and rest up and talk the least amount possible. What are you planning to bring to the stage for this tour? What should fans expect? The cool thing about the stage, it�s very interactive with the audience. I always like getting as close as possible to a crowd. Even to the people that are all the way in the back. We like to set up a B stage because I feel that an arena is that perfect size. I know for some people it might be a little big, but I actually think they�re my favorite venues to play � because they�re big. They can be up to 15,000 people or more, but still you can make it very intimate. I think you can do that by creating� that all comes down to the design of the stage. When we design the stage, we always have that in mind. Obviously the people in the front can see you very close up, but how can you also get to the people in the sides and all the way to the people in the back to see you up close? We always have that in mind. Euphoria was your first bilingual album. Do you think you�ll work that way in the future and are you at all planning your next album yet? I love doing this album, making it bilingual. I always wanted to make this type of album, where I was able to combine English and Spanish. I even brought it up to the record company like five years ago, but they weren�t really digging the idea. As time went by, I remember telling the record company that unfortunately the days of making the full-length CD were fading away. I told them I think it had become a single-driven market and at the end of the day, people can pick and choose whatever songs they want. It would help me, artistically, to make this type of album because whenever I would get stuck writing songs in English, I would move on to Spanish and vice versa. That for me made it a lot more interesting. It was a spin of what I usually do. In the past, I used to just concentrate in English and make an English album and then concentrate in Spanish and just make a Spanish album. I just thought it was the right thing to do at this point in my career. Also explaining to them that a lot of the Hispanic people in the US, they listen to English music and vice versa. So, I just felt it was right, the right time to do it. You�ve collaborated with various artists over the years. Do you have any favorites? Who would you still like to work with in the future? Who would I like to work with in the future? I don�t know. I�m going to have to think about that one. I�m sure I would go back to the artists that I grew up with back when I was a kid. I could probably set up a pretty big list, my own wish list. Then people that I�ve worked with that I�ve enjoyed, it�d be hard to say which ones the one I�ve enjoyed working with the most. I�ve been lucky enough to work with from Whitney Houston to Lionel Ritchie which were artists that I grew up with which were amazing. Lionel, I think, to their friend, luckily, and I learned so much from him. Then in this album, I worked with such an eclectic bunch of artists � from Pitbull to Juan Luis Guerra to Usher to Akon to Nicole [Scherzinger] to Wisin y Yandel to Ludacris. They�re all so different musically. The great thing about it is that I got to work with them in the studio, actually, with almost all of them. Just watching them work and what their influence is musically and how they work, I learned a lot. The one that I�ve been working with the most constantly would have to be Pitbull. We�ve become close friends. We�ve actually done a bunch of songs together and we toured in a lot of places around the world. We�ve become friends. He�s a great guy. I love working with them and I love hanging out with him. He�s a good guy. On the Euphoria CD, you collaborated with more artists than ever from the hip-hop realm such a Ludacris, Pitbull, Usher and Akon. What does this say if anything about how you see your music evolving going forward? I like working with artists that come from completely different musical backgrounds. There�s always a risk and at times in the past throughout my career, I�ve actually worked with other artists that come from different musical styles and it didn�t quite work. In this one, I approached it a little bit differently. What I did is I actually wrote the songs first and then I thought about, okay, who can change this song up a little bit? Who would it be cool to work with and do this with? That approach helped me a lot on this album. Instead of just going with a person and saying, �Okay. Let�s start from scratch,� it was more me starting again, making sure that you had that safety net there and then them changing it up with their style. But you realize that in order to push yourself or to be able to change or get out of your comfort zone, you got to work with people that come from completely different musical backgrounds. It�s the same thing with songwriting. I was used to writing a type of song� or I had a certain style. Sometimes the only way you can truly change that style is by co-writing and working with people that come up with completely different style of melodies and have different lyrical approach to a song. I realize that�s really what works � if you really want to change it up and get out of your comfort zone. Again, sometimes it might work, sometimes it might not, but when it works it�s definitely worth it. How long have you known Pitbull and what inspired your decision to work together and will you do any songs together specifically in this show? What inspired me to work with Pitbull is that although it might seem like we both come from very different musical backgrounds, when I sat down and started talking to him, we both listened to a lot of the [same] music. He�s influenced by all types of music. Kind of like me. He�s a little bit of a music encyclopedia. He loves all types of music. We have the same tendency to always sit down in the studio and listen to a song and say, �Oh, well, that guy was inspired by this song� and �he got this melody, he obviously was listening to this song when he wrote this and he wrote that song.� We�re both from Miami. We�re both Hispanic. And it just felt real. It didn�t feel forced at all. That�s why we�ve kept on working together, because he�s easy to work with. He�s extremely talented and so energetic and he�s very down to earth. Andyes, we�re definitely going to do something on stage together. 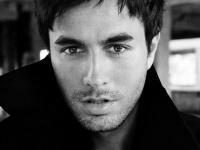 What should audiences expect that it would be different on this tour from someone who has seen an Enrique show previously? Well, the thing is that this one, there�s a much larger combination of songs. That�s due a lot to this album. It�s more eclectic musically than any other tour I�ve ever done. At the same time, too, I also get to create a set list where I can cover songs from, even Spanish songs, from 1995 to now � to 2011. So, when you think of a set list, being able to do a song like �Experiencia Religiosa,� which a song that I first sang on my first album in Spanish to songs like �I Like It� or �Dirty Dancer� or �Tonight� � they�re very, very different. Also, I�m doing a repack with new songs and I�m going to incorporate those songs in there. With the visual elements of the show, what people can expect to see? Visually, I�ve been working with a friend of mine that I�ve worked with for the past five years. I really trust him visually � when it comes down to the lighting aspects and to the video aspects. I like shows when they look simple, but when you truly analyze them, you could tell there was a lot of intricacy when it came down to designing the show. But it�s more about being able to create certain moods and songs so you make sure that when the audience leaves, each song has a different mood and a different color and a different style. You can actually remember the songs by what colors we used or how we used the lighting or how we used the video. That for me is extremely important, but at the same time, making it look very simple. So, the energy is focused a lot on the band and myself more than having 1,000 dancers up on stage. Do you find yourself altering your performance at all for the different audiences for say, an American audience versus you were recently touring in Australia and other locations? No, actually I feel like I alter more of my set list maybe in places like Australia that are more just strictly English speaking countries and barely anybody speaks Spanish. In America, I don�t feel like I have to alter my set list that much. I feel it is a combination of both audiences. I�m never going to stop singing in Spanish and even if I�m in the UK or in Australia, I always try to speak a little bit of Spanish in there if possible. But in America definitely not, I go between one and the other. Sometimes depending on the city � maybe if I�m in Kansas, I�ll sing a little more English than Spanish, but it all depends. I�ll change that like five minutes before I go on stage what I do. (laughs) A lot of times, I�ll just look through and check out the audience and see how they react to Spanish. Do they look like they�d react well to more Spanish speaking songs or not? Based on that I�ll do the set list. This time luckily enough I have Prince Royce and Pitbull opening up, so I�ll be able to really tell the audience � what they react to � before I go onstage, easier than just by looking at the audience. Is there anything interesting on your rider? Anything you have to have in your dressing room? Not really, believe it or not. No. I don�t really ask for anything in particular. Maybe� I do sometimes a bottle of rum because I�ll have one or two shots of rum because it will help me with the nerves a bit before I go on stage. Aside from Miami, your hometown, what other city or state are you looking forward to visiting on your tour? All the places that I�m going to, I�ve visited before in the past and they�re all great. I love touring in America because I would say that it�s one of the best crowds that I�ve seen around the world. Each city is not such a huge difference, but some crowds are better than others or they just react differently. I�m looking forward to Kansas City because actually that�s one place that I�ve never done a show. I have done one, but it was a radio show. It wasn�t really my concert. So, Kansas City I�m looking forward to that. How does it feel to be one of the Latin artists who have knocked down walls for bilingual artists? What advice would you have for younger artists following in your footsteps including artists like Prince Royce? Prince Royce is a perfect example of an artist that I think would be embraced by an English speaking audience. First of all, he speaks better English than me. He grew up in the US. If you talk to him, he probably speaks more English than Spanish. That�s what it is becoming now. It�s the new generation. It�s the kids that had that Hispanic influence and their parents are Hispanic, but they grew up in America. Their parents still listen to Spanish music and still watch TV in Spanish, but the kids are able to both even more English than Spanish at times. I think this whole new generation of Hispanic artists that have grown up in the US that are coming up and want to cross over to doing songs in English, I think they�re going to have an easy time with it. An easier time probably than I did. When you were writing and recording �I Like It,� did you have any idea that it was going to be such a big hit? I wrote �I Like It� three years ago in my house. This doesn�t happen to me with every song, but I remember writing that song and at the time I was with Interscope Records and I remember picking up the phone and calling the president of the record company and telling him, �I think we have a big one. I think this is the one.� I remember sending it to the record company and they were like, �What? What is this? This is strange. This is weird.� It happens sometimes. Not always are things perfect and the artist on the same page as the record company, or vice versa. This was the perfect taste of that. I had this song for two years before it came out. I just felt it my heart that it was different. I loved it and I loved the energy of it. I remember listening to it for two years and not getting sick of it. I was thinking, �Man, if I don�t get sick of this song, there�s something in this song.� There was even times they told me, �Oh, why don�t you change the verse? Why don�t you take this away? Why don�t you do that?� Every time I did it, it just didn�t feel right. It felt good the way it was originally. Eventually I ended up changing record companies and playing it for Universal Republic and Monte Lipman, the president of the record company. When I played it for him, I actually had no faith because I already so many people had told me that that song was way out there and strange and they didn�t like. But in my heart I always believed in it so I never thought he was going to pick it. He said, �That�s your first single.� When he said that I was like, �Man, this is the label I�m going to go with. They totally get it.� They thought what I thought. So, I thought that was perfect. How does it feel to be in the same realm as Michael Jackson with just as many number one dance hits? It feels great. It�s amazing. Just be mentioned in the same sentence with names like that � with Michael Jackson or Prince� because actually Prince is up there, too � in the dance charts. It�s great. That means the record company has done a great job. I�ve always given so much influence to the dance department in record companies and the dance charts because I think a lot of the music starts in the clubs � especially in the dance clubs. A lot of people at some point used to say, especially four or five years ago, �Oh, no. Dance. There�s no way a dance song can be a hit in the US. Nobody cares about dance music in the US.� I never saw it that way. It was always there. It always maintained. Maybe it wasn�t mainstream, but now you know it is. You listen to hip-hop, you listen to so many different styles of music and it is so influenced by dance music. As long as good songs keep on coming out, I don�t think it�s going to go away. And if goes away, it will it come back after. It�s a cycle. It will come back years after. 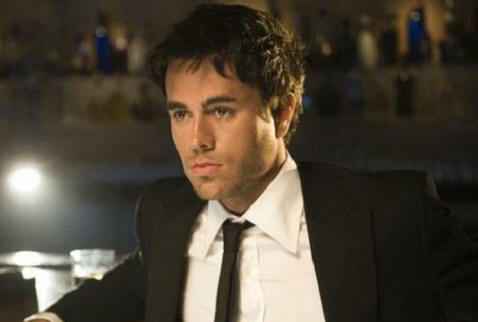 CHECK OUT ENRIQUE IGLESIA'S HIT VIDEO "TONIGHT (I'M LOVING YOU)"
#1 � 2011 Courtesy of Universal Republic Records. All rights reserved. #2 � 2011 Courtesy of Universal Republic Records. All rights reserved. #3 � 2011 Courtesy of Universal Republic Records. All rights reserved. #4 � 2011 Courtesy of Universal Republic Records. All rights reserved. #5 � 2011 Courtesy of Universal Republic Records. All rights reserved. #6 � 2011 Courtesy of Universal Republic Records. All rights reserved.